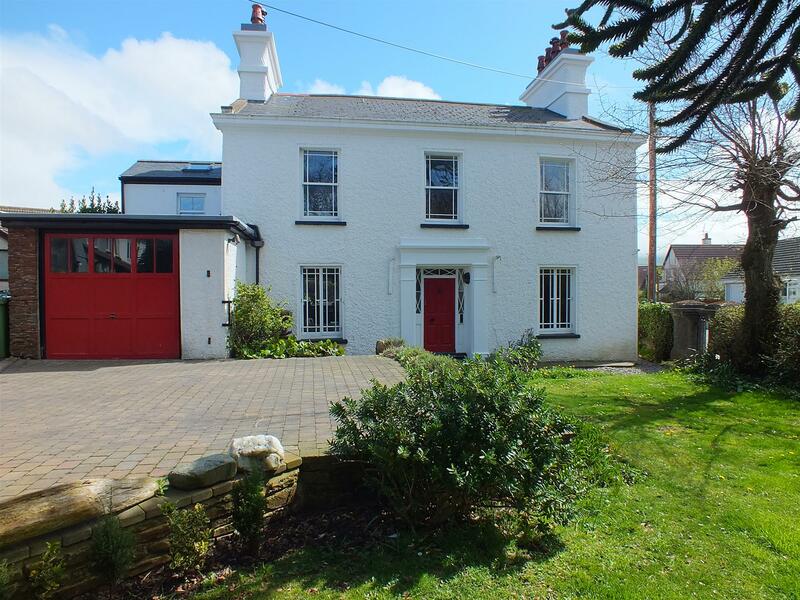 An Attractive Detached Period Property on the Outskirts of Peel. On the Main Bus Route & Within Walking Distance of the Schools, Beach & Town. Extended & Sympathetically Modernised by the Current Owners. Tastefully Decorated & Well Presented Throughout with Many Original Features. Comprising Reception Hall with Understairs Store, Lounge, Study & Garden Room. Dining Room with Stove Open Plan to Kitchen with Freestanding Units & Range Cooker. Utility Room with Shower Room Off & Access to the Integral Garage. 4 Bedrooms (3 Doubles) Stylish Family Bathroom & 1 En Suite Shower Room. Enclosed Staircase to a Fully Decorated & Carpeted Attic Hobbies/ Playroom. Oil Fired Central Heating with Solar Collectors. Some Original Windows, the Majority being Double Glazed (Timber Framed & uPVC). Mature Lawned Garden to the Front. Enclosed Rear with Patio, Shed & Vegetable Beds. Off Road Parking for Two Large Vehicles. From the junction between Queens Drive and Albany Road, travel out of Peel along Tynwald Road. 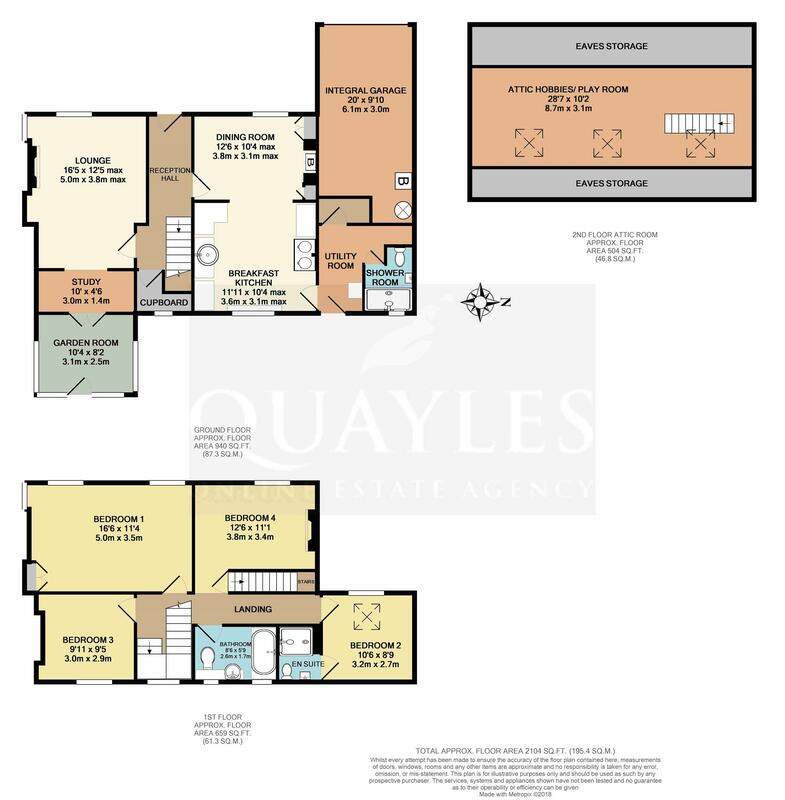 The property is located a short distance along on the left hand side, just after the entrance to Tynwald Close. A rare opportunity to acquire an elegant period property on the outskirts of Peel, with the benefit of generous gardens to the front and back along with a garage and parking. A wonderful family home within walking distance of all amenities and on the main bus route giving easy access to Douglas. Planning permission has previously been granted for a replacement extension - see planning application 1001156B. Original door with leaded top and side lights. Original cornice. Period style coat hooks. An attractive staircase with a window at the half landing leads to the first floor. Deep understairs storage area. A dual aspect room with a uPVC sash window to the side and an original window with working shutters enjoying a pleasant outlook over the front garden. Original fireplace with tiled slips, slate hearth and an inset, glass fronted stove. Original cornice and picture rail. Recessed downlights. A useful space with an ADSL connection and a step up through glazed doors to the garden room. Having a half glazed uPVC door and windows to three elevations offering a pleasant outlook over the rear garden. High angled ceiling. 'Parquet' style tiled floor. Enjoying front garden views via an original window with working shutters. Recessed fireplace with a glass fronted stove set on a slate hearth. Fireside cupboards. Original cornice and picture rail. Recessed low voltage down lights. Clear opening to the breakfast kitchen. A superb room enjoying rear garden views and featuring an electric 'Redfyre' range style cooker with all the charm of a traditional 'Aga' but far more controllable and economical to run. Features include induction hob, two ovens and a warm front facility for those extra chilly days. Flexible styling is possible with the range of freestanding oak units which can be moved around if required. Breakfast bar and island unit. Inset 1 1/4 bowl sink and plumbing for a dishwasher. Space for a fridge. Modern vertical radiator. Recessed downlights and centre light. Tiled floor. Door to the utility room. Belfast sink. Plumbing for a washing machine. Space for a fridge freezer. Wall units. Doors to the integral garage and shower room. Having a suite comprising white push button flush WC, step in tiled shower unit and hand basin. Double glazed uPVC window. 'Addvent' extractor. Having a sash style window and original balustrades. An enclosed staircase leads up to the attic hobbies/ playroom. A double room enjoying an outlook over the rear garden via a sash style double glazed uPVC window. Built in cupboard. Original fireplace and grate. A superb double room with ample space for a 'Super King' size bed if required. Featuring an original cast iron fireplace with a wooden surround. Two front timber framed, double glazed sash windows with shutters look out over the front garden. Additional window to the side. Original picture rail. Built in cupboard. Recessed downlights. Front double glazed timber framed sash window with working shutters. Original cast iron grate. Open area beneath the attic staircase. Tiled in neutral tones to compliment the oak fronted vanity unit with a top mounted basin and WC inset, along with the double ended bath with a mixer shower attachment. Two uPVC double glazed sash style windows. Mirror fronted cabinet. Radiator/ towel warmer. Recessed downlights. Heated, tiled floor. A small double room with a deep set window to the front and a 'Velux' roof light to the high angled ceiling. Fully tiled walls and floor complement the contemporary white suite of vanity unit with a top mounted basin, push button flush WC and a step in enclosure with a fully plumbed shower. Spot light and shaving/ make up mirror. Extractor. A superb addition to the property - created as a child's play room/ study space - equally suitable as an occasional guest room or teenage retreat. Naturally separated into four areas, the first containing the modern staircase with oak balustrades. Three 'Velux' roof lights. Eaves storage space. Exposed beams and reduced height. The parking for Croit e Ferish is accessed by a lane off Tynwald Road and has been block paved for ease of maintenance. Having an electronically operated, up and over panelled door with glazed top lights. Light and power. 'Worcester' oil fired boiler and 'Megaflo' hot water cylinder linked to solar collectors which assist with the heating of the domestic hot water. Steps and doorway to the utility room. Laid to lawn with walls and hedging to the roadside together with a traditional gate. Pathway to the rear garden. A generously proportioned area which enjoys much privacy and has been laid out to suit the gardener with easy care raised beds and paved areas. Timber shed. Polyethylene oil storage tank. Mains water, electricity and drainage. Oil fired central heating assisted by solar collectors to heat the domestic hot water.